Bhangarh, popularly known as the most haunted place in India, located in Alwar district of Rajasthan is a beautiful example of ancient art and architecture. 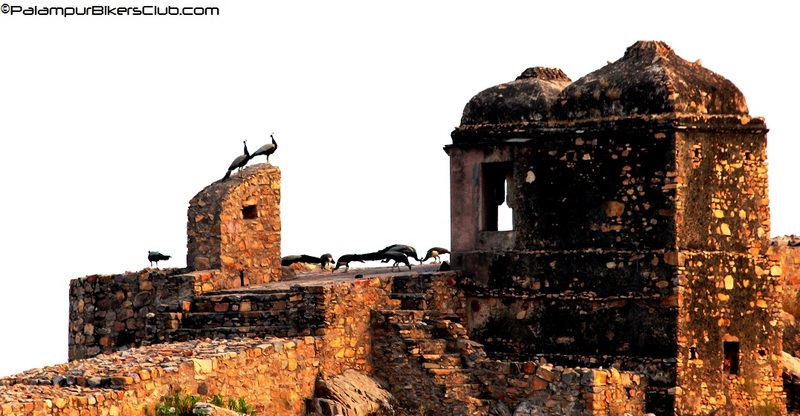 The Fort is located 235 kms from Delhi at the foot of the hills on sloping terrain. The ruins of the palace are located on the lower slopes of the hills and trees surround the pond area. 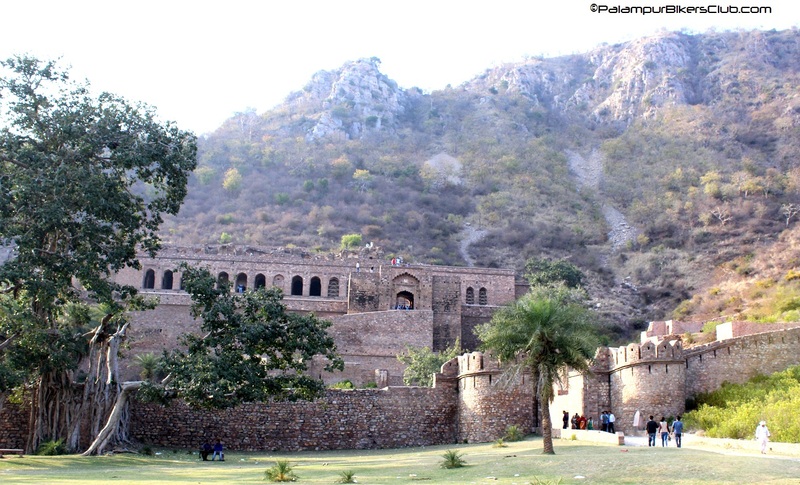 Bhangarh has become a main attraction for the people because of its numerous famous stories. 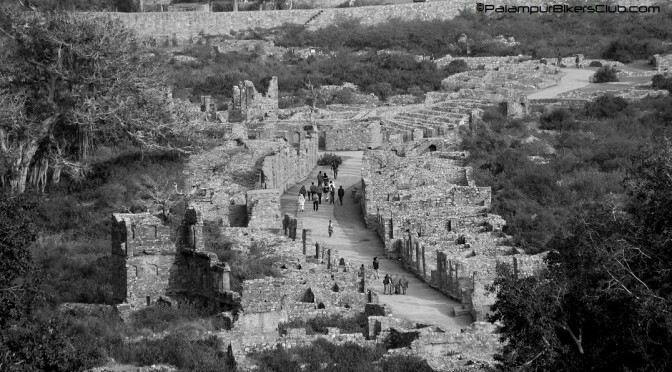 Some say that the whole village vanished in a single night, some say that it is because of the curse given by the witch to Ratnavati, princess of Bhangarh and people believe that the ghosts of the princess and that of the witch are there in the fort. Well i must say that the belief is all about believing, here sharing with you all the experience of Palampur Bikers Club. We took the Highway route NH8 via Manesar, Dharuhera, Neemrana, Kotputli, Pratapgarh all giving a beautiful view of Aravali Hills and the beautiful villages on the way as Ajabgarh and finally reaching our destination Bhangarh, It took us more than 5 hrs to be there. Finally, all of us were fully excited when we reached the entrance gate; the beauty of the fort is splendid. At the entrance there is Hanuman Mandir, and a very old Peeple tree. There are many other temples in the vicinity of the fort like Gopinath temple,Keshav Rai Temple, Ganesh Temple and Someshwar Temple. Next to the temples are the ruins of Havelis’ and the bazaars of that time. The ASI has well preserved the structure as much as they could. The entire way has so many birds, langoors and peacocks and really they were so happy. After passing all the temples and lush green area, we finally headed towards the Palace. The palace is very beautiful situated on the lower slopes of the hill. The pieces of the palace stones are kept in number placed one over the other. There was a mixed crowd of localities and city people. We all had a good time there seeing the fort and got some pictures clicked; we then left for Dausa, which was the night halt for the trip. With all the fun, chit chat, masti and of course a pleasant a stay at Dausa, we had a great time. Next morning we started for our next destination i.e. Chand Baori at Abhaneri which was approximately 30kms away. A little background on our next destination Abhaneri. 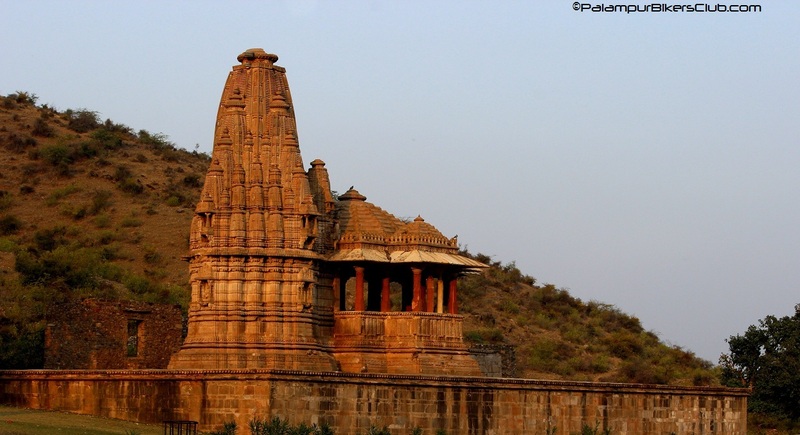 Abhaneri is a village in Dausa district of Rajasthan famous for its Chand Baori and Harshat Mata Temple. 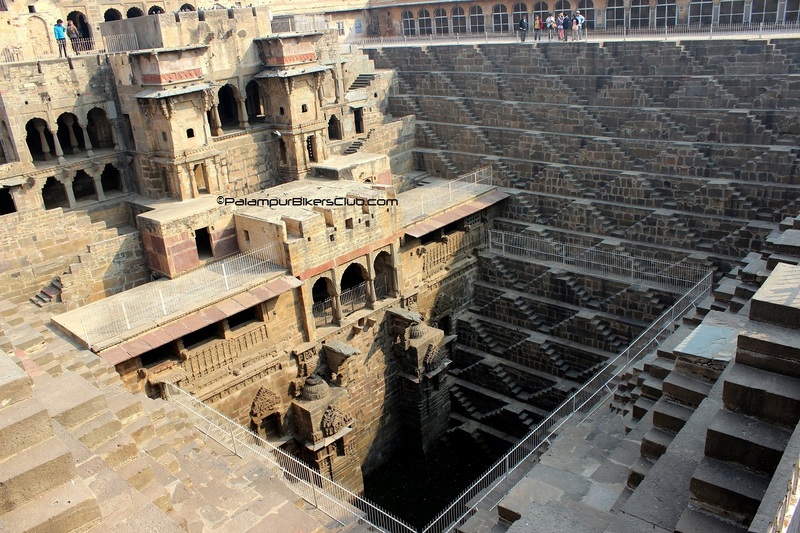 Chand Baori is one the most popular step well in the region and is one of India’s largest and deepest step well. The baori is beautifully designed with an idea to store water in ancient times to be used during parched times of the year. It is another major tourist attraction of Rajasthan. Tourists from all over the globe visit the monument. The Harshat Mata Temple is designed with intricate carvings of sculptures on it and is second major attraction for tourist. It is believed to be the temple of Goddess of Happiness who is always cheerful and spreads happiness to the whole village. 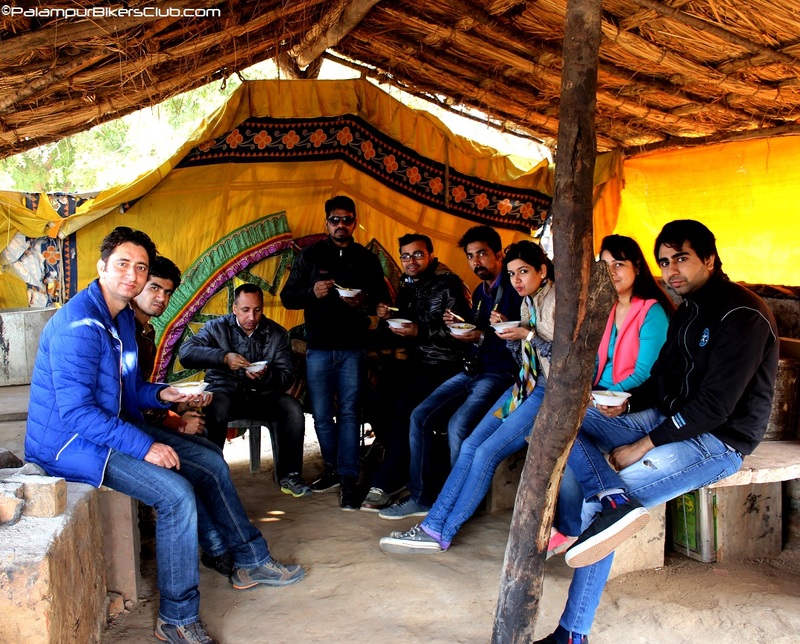 After exploring both the places we all had the amazing and famous kadi-kachori of Rajasthan. Kadi-Kachori was so tasty that all of us ended up eating more than a couple of kadi-kachori’s and icing on the cake was tea served in kullads (small earth pots). We had a time of our life and with this we bid adieu to Abhaneri and started for the journey back to Delhi. So, believe me, these are the places one must visit and explore the beauty of ancient times. 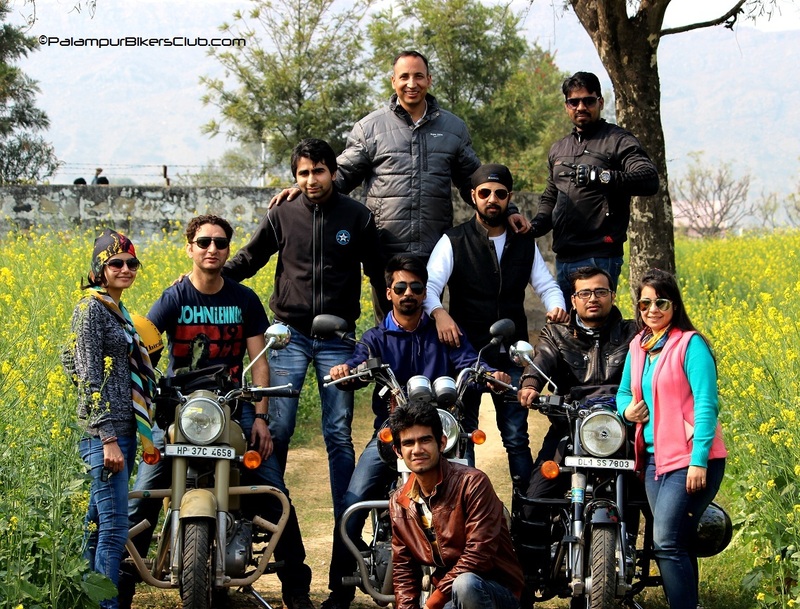 And of course when it’s with Palampur Bikers Club, it’s an amazing and wonderful experience as their belief is so right: “Some call it adventure, We call it life”.